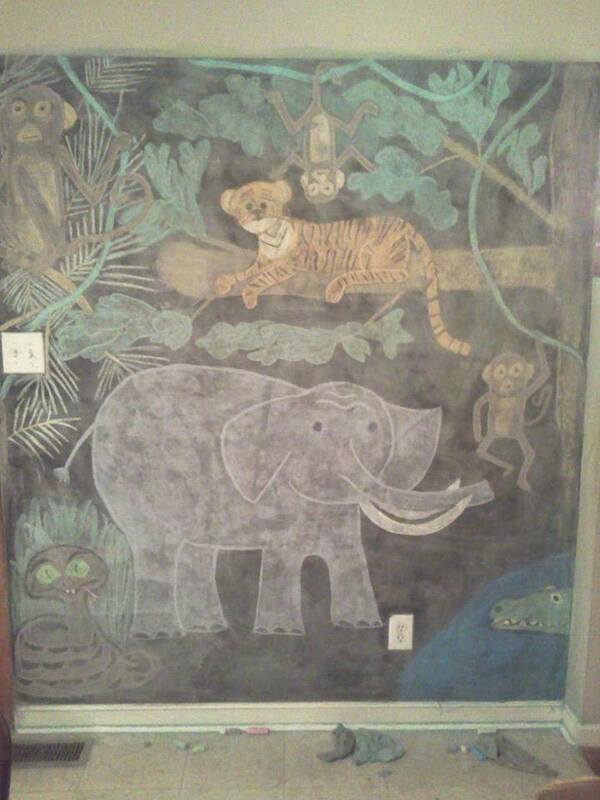 Back at the beginning of our summer break a couple of summers ago, J requested that we create a jungle mural on our chalk board wall. We’ve were really slow about working on it, and never really got it finished. But, at least we had an elephant. Elephants happen to be one of our favorite animals and according to Special Days in August , the 12th is “World Elephant Day”! And, September 22 is “Elephant Appreciation Day”! I’m glad that we took some time to study these magnificent creatures. Below are the resources we used as we learned about elephants. May this be a study that, like elephants, we won’t forget! This entry was posted in Our Homeschool, Science, Special Days, teacher resourses and tagged educational links, Elephants, homeschool, science, special days, teacher resource links on August 10, 2014 by Betty Jo. Here’s our learning resources from last year’s study for World Elephant Day (Aug. 12), which turned into “Elephant Week” for us! We have studied many animals through the course of our homeschooling career and Elephants has been one of the best.